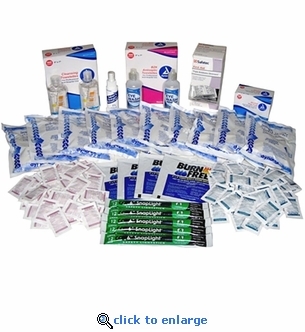 This 132-piece 2-Year Medical Supply Refresh Kit is an easy and cost effective way to replace expired items in your existing EMT pro medical kit. Almost all medical and first aid kits on the market have items that expire after as little as 2 years. Don't wait for an emergency to find out your kit has expired and non-usable first aid items.